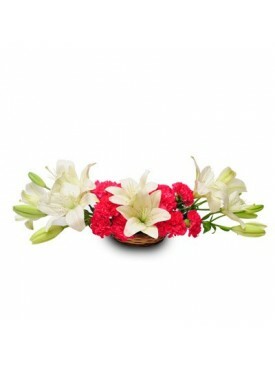 Basket arrangement is a beautiful combination of flowers with the basket which makes it look gorgeous & doubles its beauty. 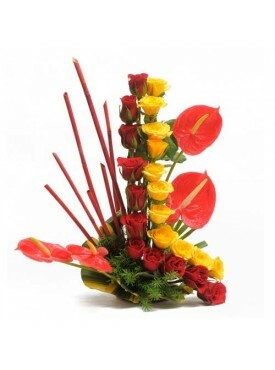 This delightful combination can make anyone’s mood cheerful. 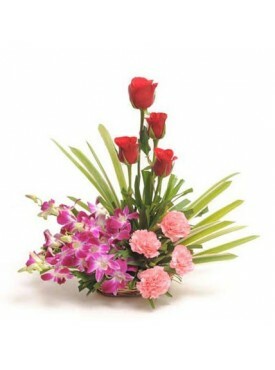 These are the part of most important occasions of our life. 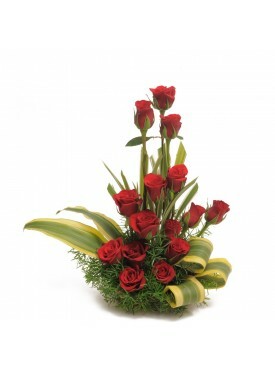 They are conspicuously present on birthdays, funerals, graduation, weddings, etc. 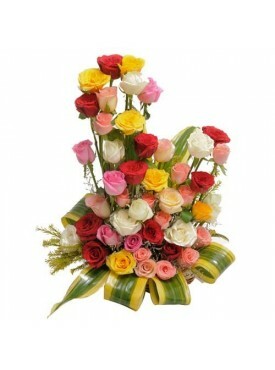 In Acchajee we have extensive collections of basket arrangement of flowers at our site. 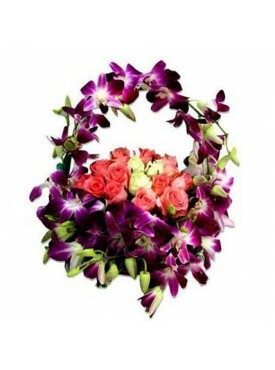 We have a wide variety of basket arrangement with different shapes & kinds with different alluring flowers. 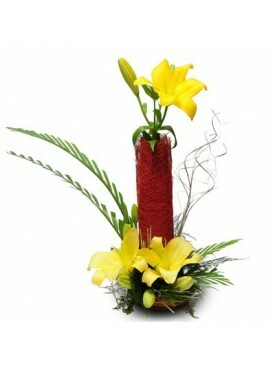 You just have to log in to acchajee.com all these flawless flowers basket arrangements will be yours. 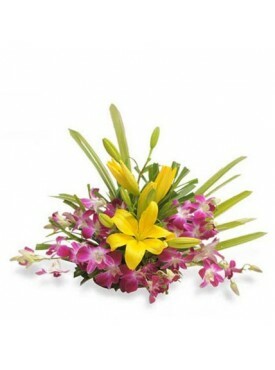 We offer you the best collections with most amazing discounts which you cannot get anywhere else. 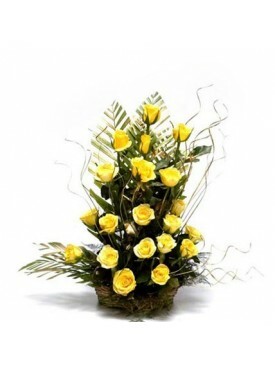 Basket arrangement of 20 Yellow roses with 2 yellow lilies n dracaena leaves. 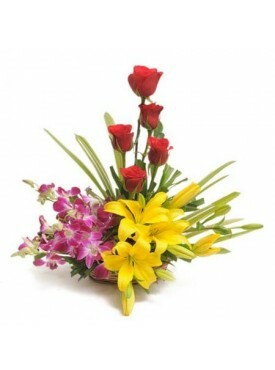 Nice basket arrangement of 5 Red roses with 4 purple orchids & 2 Yellow Lilies. 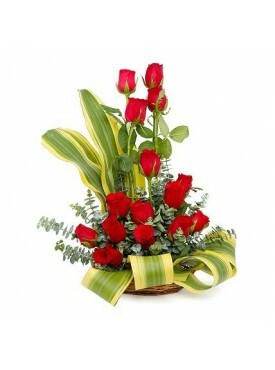 Basket arrangement of 12 Red Carnations with dracaena leaves. 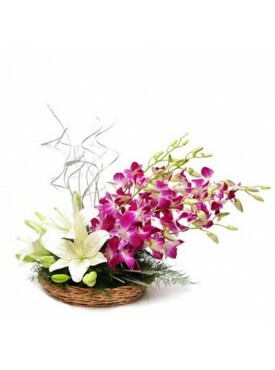 A Nice basket arrangement of 2 White asiatic lilies and 6 Purple orchids. 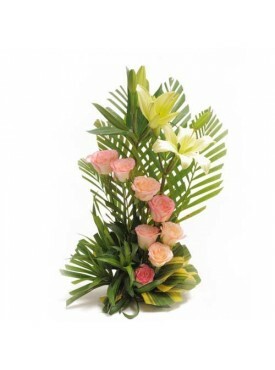 Basket arrangement of 15 Pink carnations with dracaena leaves & green fillers. 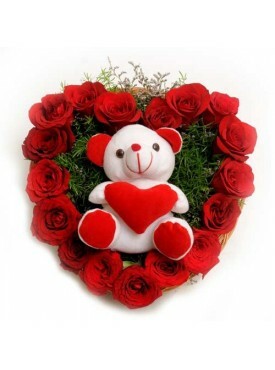 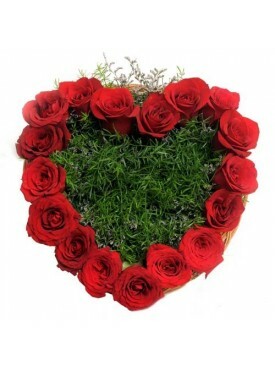 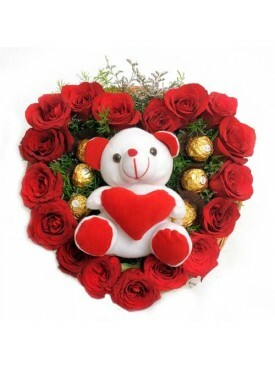 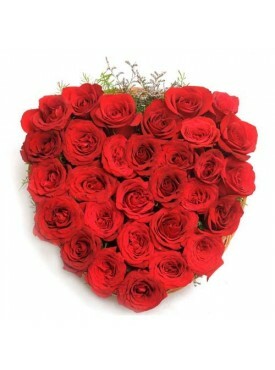 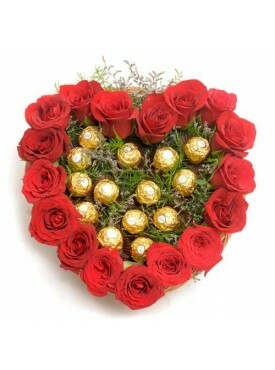 Heart shape arrangement of 17 Red Roses with 16 Pieces Ferrero rocher. 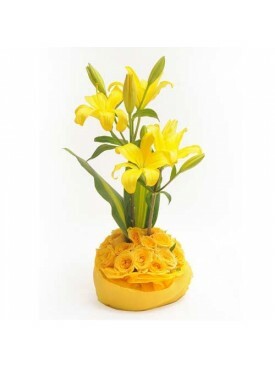 A basket arrangement of 6 yellow lilies. 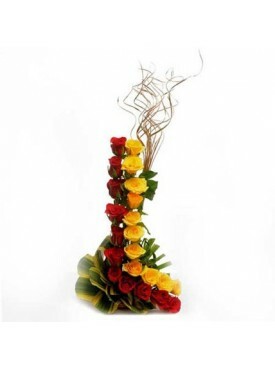 One sided Basket Arrangement of 20 Yellow roses with dry sticks.